Long Block vs. Short Block Engines: What’s the Difference? Depending on the damage to your engine, replace it with a short block or long block engine if it’s less than the resell value of your car. It’s never a positive experience learning that your car’s engine has suffered catastrophic engine failure. Whether it was due to a blown head gasket, a manufacturer defect, or simple wear and tear, replacing an engine is a costly and time-consuming process. In fact, in most cases, car owners choose to sell the vehicle as is and move on to another. However, if you’re thinking about buying a replacement engine, you may have heard the terms “short block” and “long block” but aren’t quite sure of their meanings. In order to clarify, let’s explore the difference between a short block and a long block. We’ll also provide a few tips on determining whether or not investing in a replacement engine is a smart financial decision. What is a Short Block Engine? A short block, by definition, is an engine that has been partially assembled. It starts with the engine block, which is where the combustion chambers are located. The short block will contain several individual components including a crankshaft, connecting rods, pistons, and freeze plugs. This is referred to as a full rotating assembly. 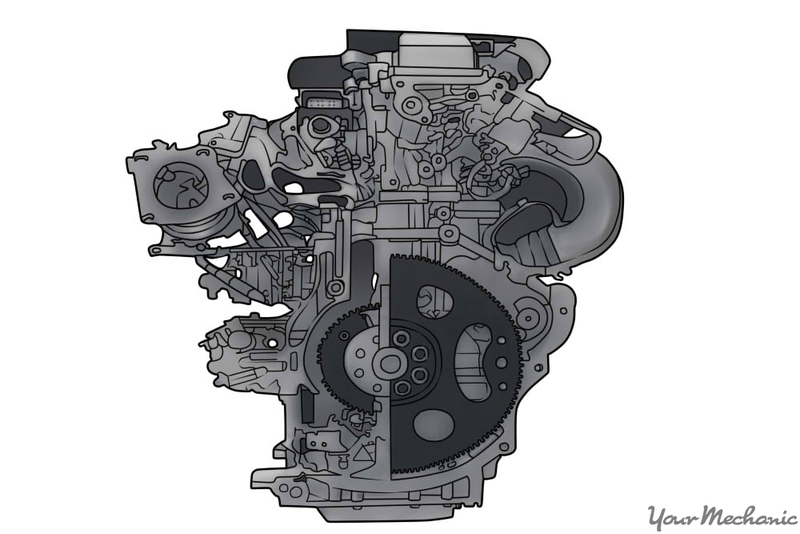 Regardless of whether you have a four-cylinder, six-cylinder, or above, the short block will always contain the components that rotate inside the engine block. If the engine you are purchasing does not contain these critical components, it’s referred to as a bare block. What is a Long Block Engine? While the short block focuses on the engine block and bottom end rotating components, the long block goes further by adding components that mechanically complete the engine’s primary assembly. Some of the important items installed on a long block include cylinder heads, a camshaft, the valve train (which consists of all cylinder head-related hardware, the valve covers, a water pump, oil pump, and oil pan, and other components. A long block does not require the installation of fuel system components, such as an intake manifold, fuel pump, or fuel injection/carburetor. Engines that are completely assembled are typically referred to as a complete engine or crate engine in some cases. When Should You Invest in a Short Block or Long Block Engine? When an engine fails, it is typically due to the engine’s inability to efficiently burn fuel inside the combustion chamber. This can be caused by physical damage in the short block or the components inside. If your engine has been diagnosed as having a short block related failure, and the cylinder heads and supporting upper engine components are in satisfactory condition, then purchasing a short block is acceptable. However, if the cylinder heads have been damaged, such as during a head gasket failure due to overheating in most cases, the long block would be best to purchase. The external parts needed in addition to a long block engine are less expensive than the extra internal parts essential to a short block engine. When Should You Not Invest in a Short or Long Block? Sometimes replacing an engine — either a short block or a long block — simply does not make financial sense. A general rule of thumb for any major mechanical repairs is to determine the overall value of your vehicle first. This can be accomplished by researching the ‘blue book value’ of your car online. The value will be determined based on your year, make, model, mileage on the vehicle, and the vehicle’s overall condition. Once you determine the resell value, compare it to the overall cost of repairs. If the cost of repairs is more than 50% of the overall value of your vehicle, it is best to move on to another car, truck, or SUV. Replacing an engine is a major decision. Like surgery, it should involve a second opinion. If you’re in a situation where you’ve been told you need a new engine, contact a professional mechanic and have them complete an onsite inspection to verify. Taking this simple proactive step can save you thousands of dollars. Q: I have 2000 E320 Mercedes Benz and code p1491 came on with Check Engine Light.